There is a map below to show you where the Australian Embassy in Zimbabwe is located. 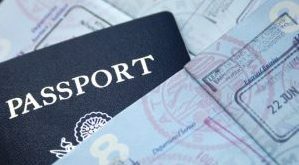 Note that the Embassy in Zimbabwe is also there for Australian expats and those who wish to visit Australia and need to apply for a visa for Zimbabwe, Zambia, Malawi Democratic Republic of the Congo (DRC) as well as the Republic of the Congo (ROC). See the contact details for the Australian Embassy in Harare as well as their opening hours and also their location in Borrowdale in Harare.